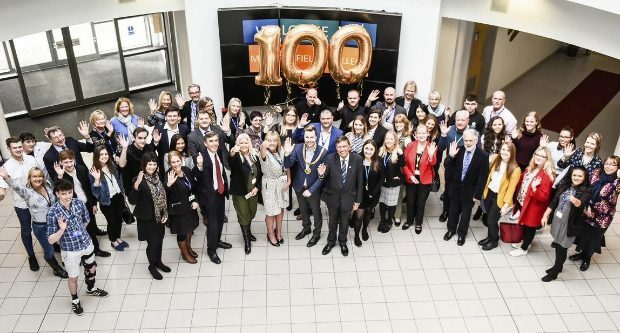 Macclesfield College has surpassed its ‘Macclesfield Manifesto’ target and created 100 new apprenticeships in and around Macclesfield within the first 100 days of 2019. In total, 104 placements were reached since 1st January. The new apprenticeships created cover a wide variety of sectors and skills, from construction and engineering, to Management, and Information & Communications Technologies, demonstrating the many opportunities available to local young people. The Manifesto was aimed at local employers recruiting apprentices from all socio-economic backgrounds, to help ensure they gain invaluable, paid work experience while they learn, building vital skills and confidence at the same time. The programme has been delivered by the College’s employer-responsive arm, Maxim Business Training, which has provided continuous and proactive support for employers and candidates alike, helping to ensure that both get the most out of this initiative.